We’re back with live guests in session to share how they play with music technology, in live jams and conversations. You’re our studio audience for intimate discussion and performance with our favorite artists. And this time, we’ve got two one-of-a-kind guests. Born in East London, Infinite Livez is an MC, vocalist, producer, artist, collaborator, improviser visual artist – all-around psychedelic futuristic virtuoso. That’s included releases on Ninja Tune and Big Dada, work with Stade, Elliot Sharp, Anti Pop Consortium, Gold Panda, and others. And he’s a totally dynamic performer whose work we can’t wait to share and talk about. DJ Morgiana’s performance practice draws from sources ranging from witchcraft to handmade electronics. Ze’s also a writer, artist, and active presence in the scene here in Berlin as well as across Poland, Czech, and Austria (including CTM, Unsound, and Room 4 Resistance appearances, and as composer of the soundtrack for Maya Deren’s Meditation on Violence). 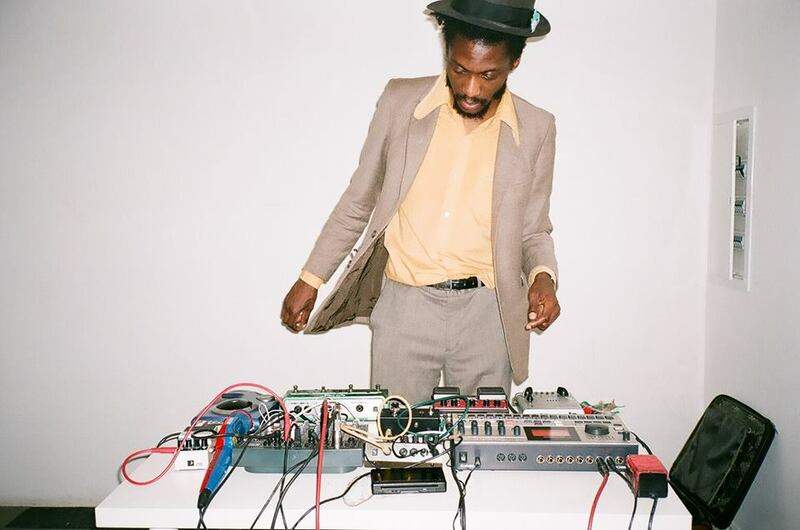 Ze has experimented with performance media that incorporate experimental turntablism and extended vocal technique alongside crystals and minerals, work with the body, and machines. Karolina is teaching others as “spiritus movens” of Sound Emancipation, co-founder of the “za duszno” series in Poland, and one of the Berlin Community Radio [INCUBATOR] residents for their 2017 edition, as well as a 2018 SHAPE platform artist. Ze has improvised with Cindytalk, Keith Rowe, Lucio Capece, Ryoko Akama, Noid, Klaus Filip, Emilio Gordoa and others stress ze is open to artistic meetings with beings from various fields. You come, have a drink, meet other like-minded musical explorers. We bring guests and talk and listen to them play and jam together. More musicianship, more discussion. And we usually have some new music to spin, too. Cost: none. Open to everyone. Video and photos and sound of the artist, not of the crowd. Always ask questions and get to meet the artists.